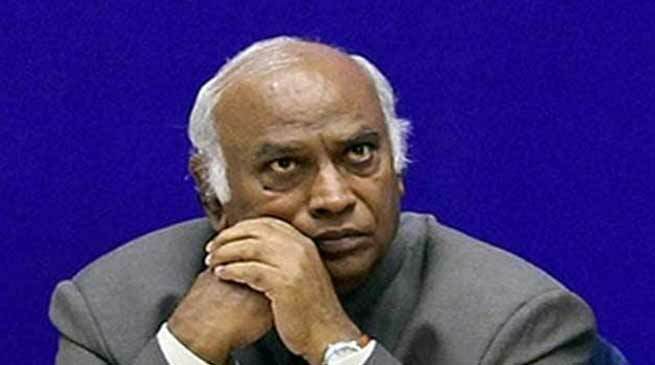 Kharge had slammed the Narendra Modi government for conferring the award to a ‘singer’ instead of spiritual leader Shivakumara Swami. The case was filed based on a complaint by RTI activist Raju Mahanta who accused Mallikarjun Kharge of hurting the sentiments of the Assamese people. The Assam Police have registered a case against senior Congress leader Mallikarjun Kharge over his remark on legendary singer-composer Bhupen Hazarika who was conferred with Bharat Ratna this year, officials said on Sunday. The case was filed based on a complaint by RTI activist Raju Mahanta who accused Kharge of hurting the sentiments of the Assamese people. “A case has been filed against Mallikarjun Kharge at Morigaon Police Station,” Swapnanil Deka, Superintendent of Police of Morigaon district, told news agency PTI. Mahanta, who is also the president of ‘Sahai’ — a socio-cultural organisation of central Assam, said he had filed the case as the remark passed by Kharge was objectionable and demanded an apology from the Congress leader. Besides Hazarika, Kharge had also criticised the Centre for conferring the award to a man who propagated their RSS ideology, in an indirect reference to Nanaji Deshmukh.